This week’s word is “troll”, sent to us by Adam! On today’s show, Mat reads about a gay bassoon, Dan explains Minecraft, Andrew sums up trolls in one sentence, and Fish allows us to laugh about an old school project at her expense… Aaaand boy, do we ever take the opportunity. Next week’s word is “karaoke”, so get your stories into us by leaving a comment below, calling in to the voicemail line at 1-844-OWG-SHOW (1-844-694-7469), or sending us an email to podcast@onewordgoshow.com! The song at the end of today’s show is I am Very Glad, Because I’m Finally Returning Back Home by Eduard Khil! 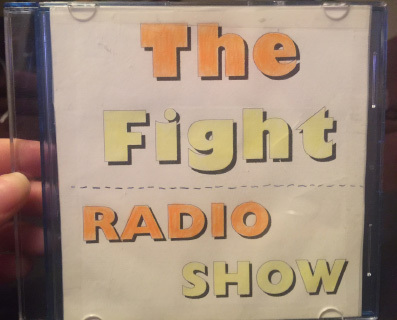 Listen to Fish’s uninterrupted school project “The Fight”! This week’s word is “starbucks”, sent to us by Steaky! On today’s show, Fish talks about the laziest coffee theif, Andrew cries over spilled spoiled milk, Dan gives advice on how to get free food, and Mat threatens to kill himself over ridiculous drink combinations. We also discuss babies buying records, buying a billboard, and sing happy birthday to our friend. Next week’s word is “troll”, so get your stories into us by leaving a comment below, calling in to the voicemail line at 1-844-OWG-SHOW (1-844-694-7469), or sending us an email to podcast@onewordgoshow.com! The song at the end of today’s show is Starbucks by Kevin Yee! This week’s word is “boredom”, sent to us by GeoJamster! Next week’s word is “Starbucks”, so get your stories into us by leaving a comment below, calling in to the voicemail line at 1-844-OWG-SHOW (1-844-694-7469), or sending us an email to podcast@onewordgoshow.com! The song at the end of today’s show is Boredom by The Buzzcocks! This week’s word is “alcohol”, sent to us by Ian N.! On today’s show, Andrew plays a polite game of beer pong, Fish passes out naked in a bathtub, Dan saves a party on foot, and Mat takes food from silhouette strangers. Next week’s word is “boredom”, so get your stories into us by leaving a comment below, calling in to the voicemail line at 1-844-OWG-SHOW (1-844-694-7469), or sending us an email to podcast@onewordgoshow.com! The song at the end of today’s show is Pumpin’ It Up by P-Funk All Stars!